Can we not politicize this painful tragedy? 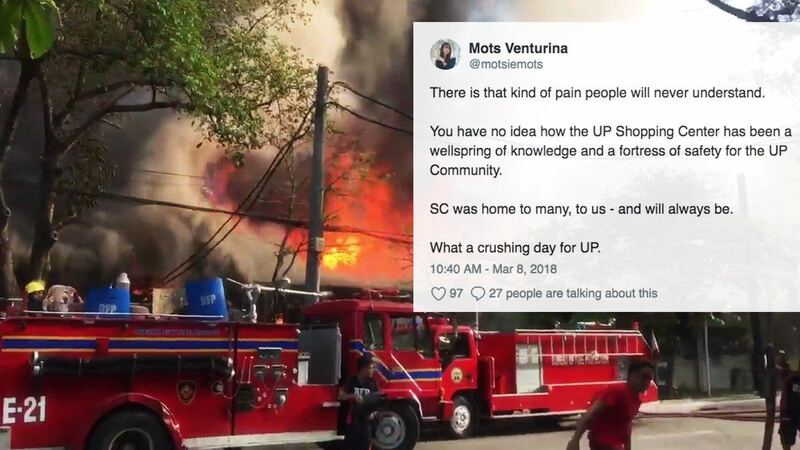 It's a sad day for the University of the Philippines community, as its beloved UP Shopping Center at the Diliman campus went up in flames Thursday morning. 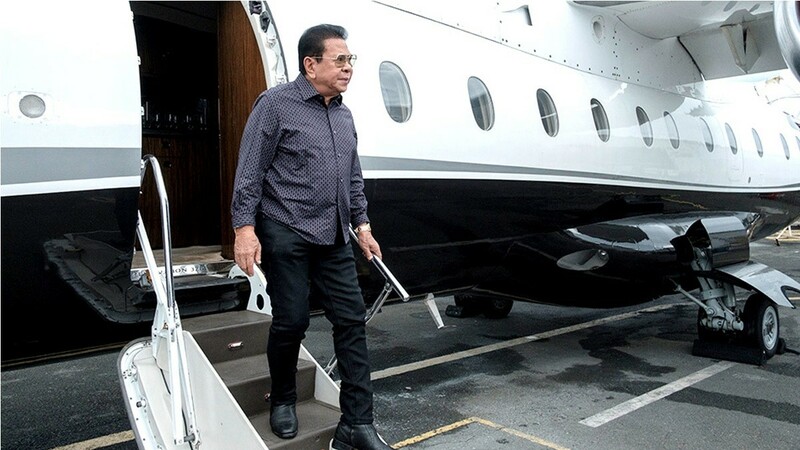 The establishment, which houses the iconic Rodic's Diner, several printing and photocopying stalls, among other services, caught fire and reached the second alarm at 7:36 a.m., according to a tweet by the Metro Manila Development Authority. It was reportedly declared fire out after an hour and a half. UP Diliman Chancellor Michael Tan reiterated to CNN Philippines the need for a fire station around the campus. "May naka-allocate na from the local government, sana naman this year maitayo na. Because the closest fire station is at least 20 minutes away. Panahon na. We have 70,000 people living here." This is the fourth case of a fire breaking out inside university grounds in the last four years: College of Arts and Sciences Alumni Association Food Center (June 2015), the Alumni Center (July 2015, two weeks after CASAA), and the Faculty Center (April 2016). Both students and alumni expressed grief over the place that many considered as "a wellspring of knowledge and a fortress of safety" being reduced to ashes. Based on their social media posts, the pain and trauma is similar to that of losing a loved one. Some reminisced how the UP Shopping Center served as a "one-stop shop" that catered to their every academic need. It's truly unfortunate that this happened right smack in the middle of Fire Prevention Awareness Month.